You are at:Home»World»Will Twitter ever be a contender in online ad war? Will Twitter ever be a contender in online ad war? For years, Google and Facebook have been waging trench warfare for big-brand advertising budgets. Billions of dollars are up for grabs, and since this money constitutes the bulk of revenue for both companies, the stakes are high. Twitter, which last week launched a self-service ad platform, is a relative newcomer to the online-ads battle. The company was slow to identify advertising as its main revenue source, having previously toyed with the idea of building its business on analytics or enterprise products. Twitter first announced its ad suite in April 2010, but in August of the same year, it was evident that the suite was still very much in an experimental stage. In fact, promotional tweets didn’t start rolling out until just six months ago. 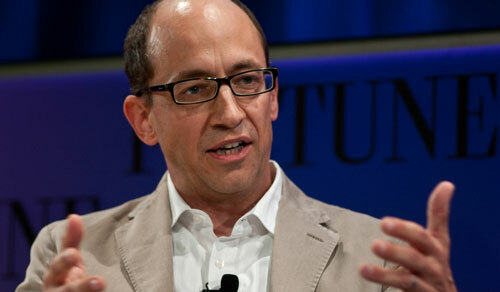 Twitter is projected to reach US$1bn in annual revenue by 2016, a long four years from now. Meanwhile, long-time ad heavyweight Facebook revealed in its recent S-1 filing for its initial public offering that it had made nearly $4bn in 2011 alone, mostly from display ads. But even Facebook’s ad revenue, definitely the figure to beat in display ads, is still peanuts compared to Google’s earnings from online advertising. The search giant, which gets the bulk of its money from search ads, posted $10bn in revenue for the most recent financial quarter alone, and about 95% of that came from its online ad empire. With numbers like that, it seems that advertisers still don’t see Twitter as anything more than an interesting experiment or a PR tool, at best. Twitter’s announcement last week of a self-serve media-buying platform, however, has made it a lot easier for a wide range of businesses — even small and medium-sized businesses (SMBs) — to work with Twitter, regardless of budget size. “That makes it really easy for smaller companies to take that risk,” said Williamson. In the past, Twitter’s ads could cost around $120 000/day — a huge price for a product without a proven return on investment. With the new self-serve ads, Twitter is reaching out to a larger audience of smaller businesses, some of whom certainly have incentive to turn to Twitter over Facebook for advertising. But while these small and mid-size businesses will help Twitter grow its overall advertiser base, Williamson reminds us that their advertising budgets are a jar full of pennies compared to the war chests that brands like Coca-Cola and Virgin have available to lavish on Twitter and other social networks. “Twitter’s revenue is going to need to come from the big advertisers, with a smaller base from small and mid-size advertisers. But [SMBs] are not what’s going to make Twitter ultimately successful,” says Williamson. Williamson says analysts and advertisers alike see this approach as “impressive”. By testing new products and launching them only when they’re ready, “Twitter has been able to hold back and make sure that what it rolls out doesn’t irritate its users and still works for marketers”. As Twitter continues its slow and steady climb to significant revenue, Google remains the dominant player in online advertising, mainly due to the breadth of its portfolio, which includes video ads on YouTube, mobile ads from acquisition AdMob, banner ads from DoubleClick (also a Google property) and a proprietary ad network.